Hosted by Tomas Hult, this segment of the globalEDGE Business Beat is an interview with Katherine Franz. She is Executive Director of the Axia Institute in the Eli Broad College of Business at Michigan State University (axia.broad.msu.edu/). Tomas Hult is Professor and Byington Endowed Chair in the Eli Broad College of Business at Michigan State University. The Axia Institute is on the leading edge of developing high-impact value chain solutions for diverse systems: from manufacturing to enhancing water and protecting products to reducing waste. Hosted by Tomas Hult, this segment of the globalEDGE Business Beat is an interview with Brian Pentland. He is the Director of the Center for Business and Social Analytics in the Eli Broad College of Business at Michigan State University (cbsa.msu.edu/). Tomas Hult is Professor and Byington Endowed Chair in the Eli Broad College of Business at Michigan State University. CBSA’s goal is to accelerate research that uses digital resources to understand and predict social, economic, business and government processes from the ground up. They will do this by providing and coordinating resources to enhance multi-college collaboration, the sharing of ideas, and innovation across the University. Hosted by Tomas Hult, this segment of the globalEDGE Business Beat is an interview with Nick Little. 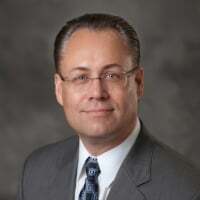 He is the Managing Director of the Center for Railway Research and Education and the Railway Management Program in the Eli Broad College of Business at Michigan State University (https://railway.broad.msu.edu/). Tomas Hult is Professor and Byington Endowed Chair in the Eli Broad College of Business at Michigan State University. The Center for Railway Research and Education has been established at MSU to support sustainable transportation options within the supply chain and strengthen modal choice and integration for passenger and freight shippers. It is supported by an endowment fund established by Edward A. Burkhardt, a prominent rail industry owner and executive. Hosted by Tomas Hult, this segment of the globalEDGE Business Beat is an interview with John Hollenbeck. He is Director of the Institute of Business Research in the Eli Broad College of Business at Michigan State University (https://broad.msu.edu/centers/ibr/). Tomas Hult is Professor and Byington Endowed Chair in the Eli Broad College of Business at Michigan State University. The Institute for Business Research serves as the hub for externally funded business research within the Broad College of Business, and as part of the MSU campus-wide research infrastructure, collaborates with other MSU Colleges/Departments as well as the Offices of Regulatory Affairs, MSU Technology, Sponsored Programs, Business Connect and Contract & Grant Administration. Hosted by Tomas Hult, this segment of the globalEDGE Business Beat is an interview with Ken Szymusiak. He is the Managing Director of the Burgess Institute for Entrepreneurship & Innovation in the Eli Broad College of Business at Michigan State University (ie.broad.msu.edu/). Hosted by Tomas Hult, this segment of the globalEDGE Business Beat is an interview with James Franz. He is the Managing Director of the Demmer Center for Business Transformation in the Eli Broad College of Business at Michigan State University (demmer.broad.msu.edu/). Tomas Hult is Professor and Byington Endowed Chair in the Eli Broad College of Business at Michigan State University. The John and Marnie Demmer Center for Business Transformation was established by a significant gift to assist Michigan manufacturing businesses transform into lean, agile global competitors, increasing their presence and profitability in domestic as well as global markets, and opening the doors to new employment opportunities for Michigan workers.